5 Simple Steps to Improve your Blog Domain Authority overnight! Home / blogging / earning / 5 Simple Steps to Improve your Blog Domain Authority overnight! Ever wondered why a blog would copy your content and get ranked on Search Engine Result Pages (SERP) way ahead of you and possibly earn more than you? It is because they have better Domain Authority (DA). One of the most important factor considered in DA is Backlinks, other factors include Domain Age, Content, Social Shares, Bounce Rate etc. Part 1 of this article showed tips to getting SEO juice from blog/forum comments, this article takes it further with tools and tips for getting improved Page Rank and Domain Authority through backlinks easily and how to target pages with good DA. Probably, the biggest fallacy in SEO is that you need only high quality backlinks. This makes most bloggers missed the opportunity of getting massive backlinks from fellow bloggers – especially from blogs that pass the 30%-Rule test (explain below). What is Backlink in layman’s term? Backlink in the simplest term means someone writes an article on some topic and he references your site as having more information on the subject matter. 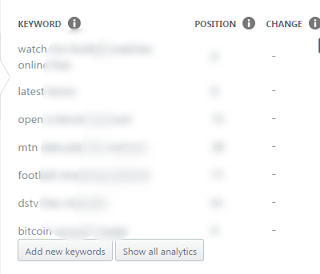 However, you need to know which keyword you are targeting and which site are the best candidates to seek for backlinks. 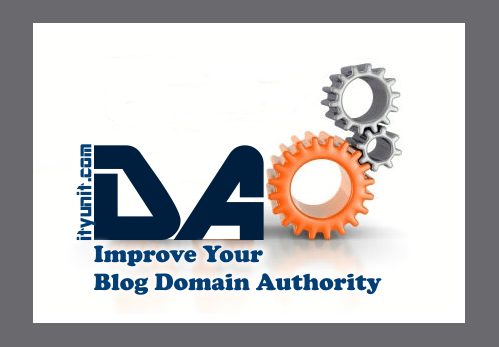 A good page rank improves your blog overall domain authority. Get to know specifically the keywords that your site already rank better and target the best 5 keywords. When you get the keywords, add a qualifier like the current year eg “2017” to rank above old content even with better DA but have not been updated. Using any of the above tools, you can then copy out the top 2 pages on your blog for each keywords. These will be the URL that you will place on the targeted sites to link back to you.. .
3. Get the right backlink format. When doing a guest post, don’t be satisfied putting your link at the end of the post, request for at least two link back. The dofollow link MUST be in the body of the post with the right key word as anchor text in line with the statement to make it look natural and surrounded by other keywords. The end at the end of the guest post may be “nofollow”, it will not hurt because it would be mainly for traffic. 4. Know which site/blog/forum to go for comment or guest post. Once you know your keywords, run them (one at the time) on a software like Good Keywords which generates links to site/blog pages that are also ranking on that keywords. Click here and get the software for free! Remember, this is not the normal competitor keyword research tool as this software will tell you exactly which page on blogs that ranks for that keyword. The 30% Rule: Next, check the page (or domain) authority for each of the pages listed and use the 30% rule to know which page to target. 30% rule means that any domain you intend to link should never be below 30% of your blog Domain Authority. For instance, if your domain authority is 20%, the target blog DA should be 26% and above (20 x .3). All you need to do is to request for a Guest Post, if the approval is not forthcoming or not likely, just drop a comment on the targeted post with your link back anchor text. Make sure your comment doesn’t look spammy rather it should be rich in content so that if it is not immediately visible, the admin would be more likely to approve it. If the site/blog or forum you place the comment backlink is very active, search engine bots should crawl it within seconds of posting and transfer the SEO juice to your page. When the bot arrive your site and checks that your content, bounce rate, social shares and domain age is good, you get better page rank and consequently an improvement in Domain Authority. - Your blog can survive even without Google Adsense as more advertisers and promoters will be more willing to buy ads spaces or sponsor a post. - Your blog becomes a brand and you run it as a service. Thanks For sharing this awesome articles For Us Bro. Thanks for this awesome and resourceful tips... I've bookmark your blog6and hope to return more often. Wow, I've been doing this on all .Y blogs and the da and pA has been good. Exceptional blog post, Thanks for tutorial. I have finally known what DA means. Lol.